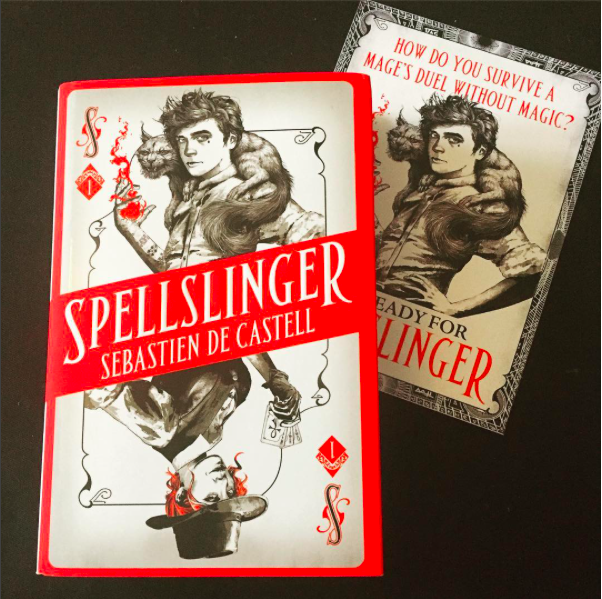 Sebastien de Castell make his YA debut with Spellslinger, published in the UK by Hot Key Books. Spellslinger, as de Castell mentions on the book’s Goodreads page, is the first in a planned six-part series. 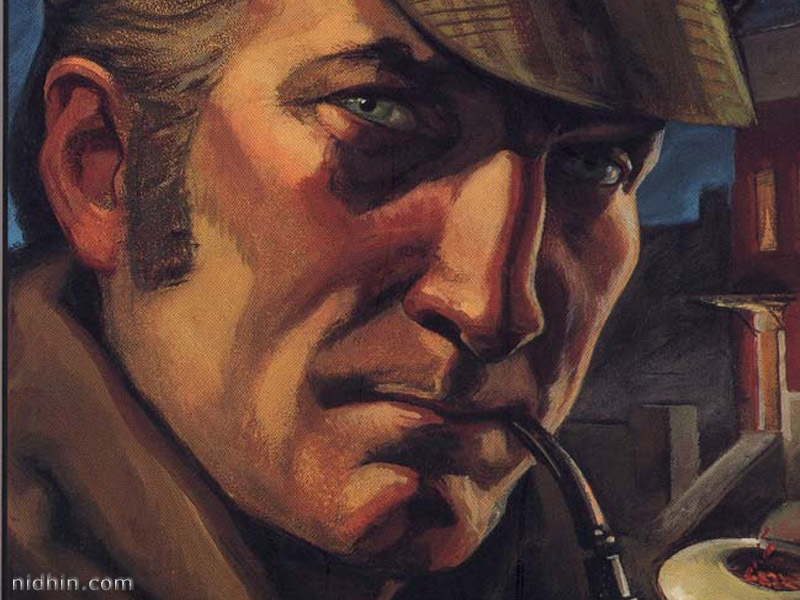 Existing fans will be pleased to hear it takes place in the same universe as his Greatcoats series, but in another part of that world, in a place that felt – to me – a bit like a combination of the very masculine Wild West and Classical or Middle Eastern magical mythology. Kellen, our main character, seems destined not to succeed as a powerful mage like his father, while his friends gain their magic and pass trials around him. However, he discovers something more sinister is afoot, and eventually uncovers a conspiracy that could destroy his family and homeland. Spellslinger is a rough, tough, fast-paced, male-led heroic fantasy, with a slightly unusual frontier feel to the story. I wasn’t surprised, when doing my research, that de Castell has a previously written for adults, and I think this book is best read by older teens due to some of the language used. The story moves along pretty quickly, with magical combat, spying, betrayal and some odd but enjoyable helpers, in the form of an angry giant squirrel-cat (I was reminded of Rocket Raccoon) and a mysterious Argosi traveller with a deck of cards. Now that I know de Castell is planning a six-part series, Spellslinger makes a lot more sense. I feel like this book is really Kellen’s origin story – we’re introduced to his family, the reason he’s not able to do magic like his peers is revealed, and the book does a lot to set up the regime which runs his community, with its pros and cons. There is a dramatic conspiracy and rescue storyline, but it’s only as important as setting up Kellen and the other main characters. A lot of concepts are dropped into the book and not fully explained or cleared up, but I assume this leaves us with plenty to find out about in the next instalment. The magical world created by de Castell is well built. Kellen’s people, the Jan’Tep, draw their power from ‘oases’ and I pictured a dusty city with areas of marble beauty as well as run-down, ‘wrong side of the tracks’ dive bars, but maybe that’s just my idea of what it looks like! I was intrigued to meet members of the neighbouring peoples, but, again, I’m guessing they’ll feature a lot more heavily in future books. I did find the sexist society (and language) a bit frustrating at times. This is part of the way women are treated in Jan’Tep culture, we’re told – they have to use their magic for healing, they’re looked down on and not thought fit to be great mages. However, there’s a way to write narrative which shows that we, the readers, don’t agree with the culture our characters are from, and that seemed a little lacking. Perhaps that’s because Kellen is the narrator and he’s supposed to be a flawed hero – his squirrel cat business partner is certainly flawed – but I really hope that female characters are given a lot more time in the limelight in future books. Over all, Spellslinger was an enjoyable read, perhaps particularly good for male readers who enjoy Pratchett or Stephen King’s The Dark Tower books. I’m looking forward to the next book, where – fingers crossed – we’ll explore more of Kellen’s world and hear more from the women as well as the men who live there. Sebastien de Castell had just finished a degree in Archaeology when he started work on his first dig. Four hours later he realized how much he actually hated archaeology and left to pursue a very focused career as a musician, ombudsman, interaction designer, fight choreographer, teacher, project manager, actor and product strategist. His only defence against the charge of unbridled dilettantism is that he genuinely likes doing these things and that, in one way or another, each of these fields plays a role in his writing. He sternly resists the accusation of being a Renaissance Man in the hopes that more people will label him that way. Sebastien lives in Vancouver with his lovely wife and two belligerent cats. Thanks so much to Hot Key Books and FMCM for my reading copy.